Pat Lockhart, 83, of Monterey, passed away Jan 25 after a ten year battle of Parkinson's disease at Ave Maria Senior Living where she'd been living for three years. Pat was born May 12, 1934 in London, England to William Durrant and Phyllis Joseph. She was a child evacuee during World War II, having been moved to several places. Pat first worked for Lever Brothers starting when she was 16 years old. At 21, she came to this country on a visit with an aunt in Lake Tahoe. She met and married her first husband Bob Kinkel in 1956. After seven years he was killed in a traffic accident outside Reno. Among the various jobs she had were working at Reno High School and working for United Airlines as a ticket agent. After Bob's death, Pat came to the Monterey Peninsula in 1963 with her parents, settling in Carmel. Pat worked at the Navy Postgraduate School as a scheduler for four years until her mother became ill. After her mother died in 1968, she married Brooks Lockhart, Dean at the Postgraduate School in 1969. After that she became a housewife and then mother to Jonathan in 1970. Pat and Brooks became advocates for disabled children after their son was diagnosed as learning disabled. She helped found a support group for parents of handicapped children (PISCES). She and her husband ran this group for four years. Pat was also a member of the Carmel Foundation, as well as the first volunteer of the Hospice when it was out of Carmel Valley. Pat also helped form a chapter of the Widowed Persons of California (WPAC). Pat loved to travel and went to wide ranging places like Barcelona, Rome, and Venice. She travelled to Hong Kong, Manila, and Tokyo as well. Pat overcame the pain she had throughout her life to live to the fullest. Even in the last few years of life, Pat was determined to have her independence despite the advancement of Parkinson's disease. 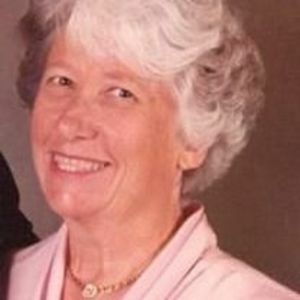 Pat is survived by her son, Jonathan of Monterey, as well as stepdaughter, Pat Wolfgang of East Greenbush, NY and stepson, Lynn (Penny) of Gilroy, CA. Also surviving are three grandchildren; Sarah Lockhart of Oakland, Meldon Wolfgang (Sarah) of South Hamilton, MA and Andrew Wolfgang of Nassau, NY; two great grandchildren, Lola and Myles Wolfgang. She was predeceased by her husband Brooks in 1995. The family would like to thank Drs. Tocchet, Tapson, and Centurian for their care as well as the staff of Ave Maria. Services will be held on Feb 10 at 11 am at Monterey United Methodist Church, 1 Soledad Dr., Monterey. It is suggested in lieu of flowers, memorial contributions be sent to the Carmel Foundation, Westland House, or Parkinson's Foundation.